Gabriel James Byrne (born 12 May 1950) is an Irish actor, film director, film producer, writer, cultural ambassador and audiobook narrator. His acting career began in the Focus Theatre before he joined London's Royal Court Theatre in 1979. Byrne's screen debut came in the Irish soap opera The Riordans and the spin-off show Bracken. He has now starred in over 35 feature films, such as The Usual Suspects, Miller's Crossing, Stigmata and End of Days, in addition to writing two. Byrne's producing credits include the Academy Award-nominated In the Name of the Father. More recently, he has received much critical acclaim for his role as Dr. Paul Weston in the HBO drama In Treatment. 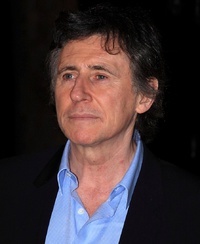 This webpage uses material from the Wikipedia article "Gabriel_Byrne" and is licensed under the GNU Free Documentation License. Reality TV World is not responsible for any errors or omissions the Wikipedia article may contain.